The professional bracket racers know that alcohol is the only way to go bracket racing. It offers double the consistency of gasoline and virtually no cool down time between rounds. But the biggest problem plaguing alcohol racers is the dilution of the oil that occurs in alcohol fed engines and the complexity of the required fuel systems. Well we’ve solved those problems. 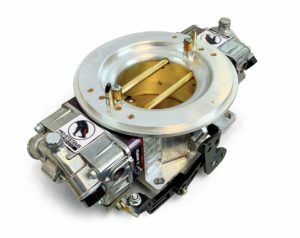 Our new Alcohol and regulator combination offers deadly consistent performance, clean idle/part throttle operation and quick and easy installation. 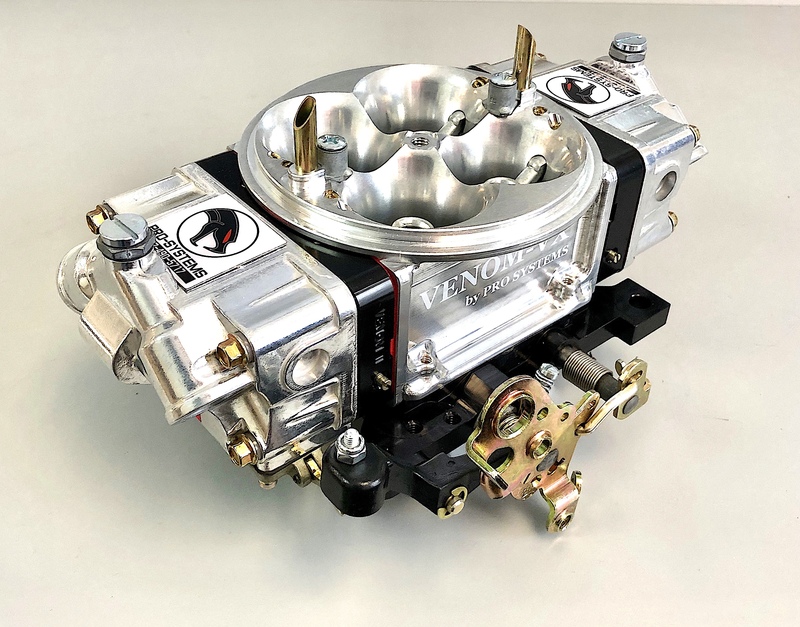 Simply install the carburetor and regulator, hook up the vacuum hose “to the specially machined throttle shaft valving that we add to the carburetor”, set your fuel pressure at 8 psi and you’re ready to go alcohol racing. Now you’ve got a variable fuel pressure system that keeps the bowls full and the dial-in dead on. The innovative carburetor design offers incredibly clean operation and cold start ability. This is NOT a simple vacuum port that hooks up to the intake manifold vacuum. That old concept creates lower fuel pressure as rpms increase and this changes the fuel curve and effects performance and consistency. Using straight intake manifold vacuum is WRONG!! You see as engine rpms increase down the track, manifold vacuum rises, this vacuum is sent to your regulator and constantly LOWERS your fuel pressure as rpms increase (YES you read that right). Using straight intake manifold vacuum gives you your highest fuel pressure at low rpms during wide open throttle operation and your lowest fuel pressure at high rpms. Which is exactly the opposite of what you need and this makes a carefully crafted fuel curve a mess and that’s a problem. Problem solved!! Our Engine Friendly system is different and proper, thats why for almost 10 years it has been the standard of the industry. 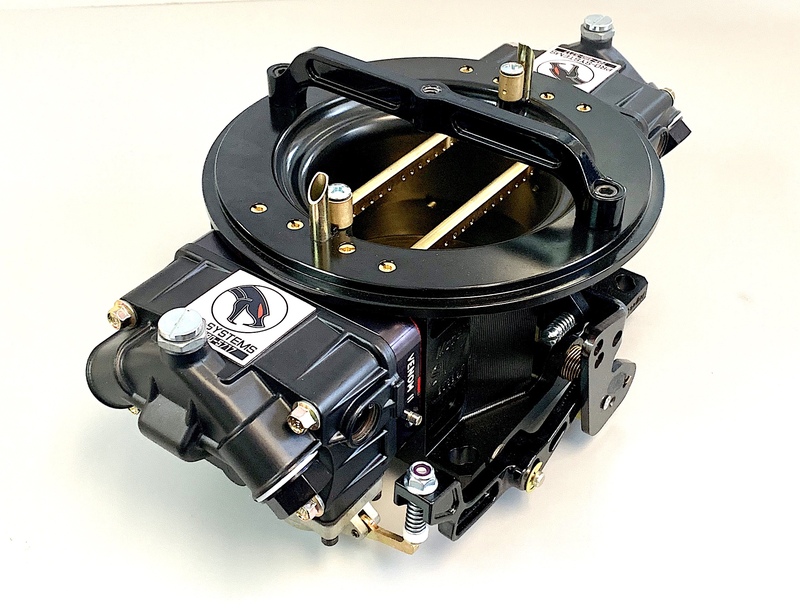 The Engine Friendly program has a vastly improved metering system that does not require the idle to be excessively rich in order to have good throttle response and the ability to properly meter fuel at wide open throttle. It also incorporates a throttle actuated valving mechanism. 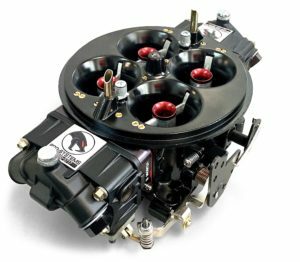 This valving is machined into the carburetor that controls the fuel pressure via engine vacuum and is based on throttle position, so your fuel pressure changes based on throttle demand. Now, while you are under full power (you have rock steady fuel pressure at your maximum setting), or while driving around (it automatically drops back to a lower number for clean part throttle operation), or in the shut down area (it falls to its lowest number of all to prevent overfueling and oil dilution), your fuel pressure does what it is supposed to do, and when it’s supposed to do it. It’s like a reliable mechanical computer for your regulator. THAT HAS NEVER FAILED! 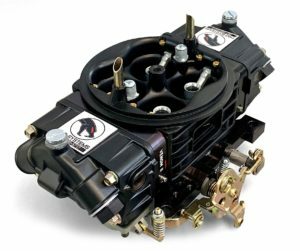 So if you use a belt drive pump, the carburetor will operate very clean and very consistent due to its superior metering design. But if you are going with an Electric pump, it will operate properly as well due to the variable pressure vacuum operated regulator system built into the design. So either way we’ve got you covered. Every carburetor is wet-flowed (includes wet-flow portfolio for easy jet selection), live tested and fuel curved to follow an SAE calibrated Weather Predictor. This track tested and proven combination is the only way to go bracket or super class racing. As a matter of fact, our own Pro Systems employee Tim Stout won the Mid Michigan Motorplex Pro Bracket Championship with this program on board maintaining an incredible 89-5 round win record! Thats 18 round wins in a row on average before recording a single round loss! So it’s consistent and predictable. Best of all, no weekly oil changes or plumbing headaches are required. The SV1 is on average 10 h.p. above our best Alcohol Dominator, but at more cost. 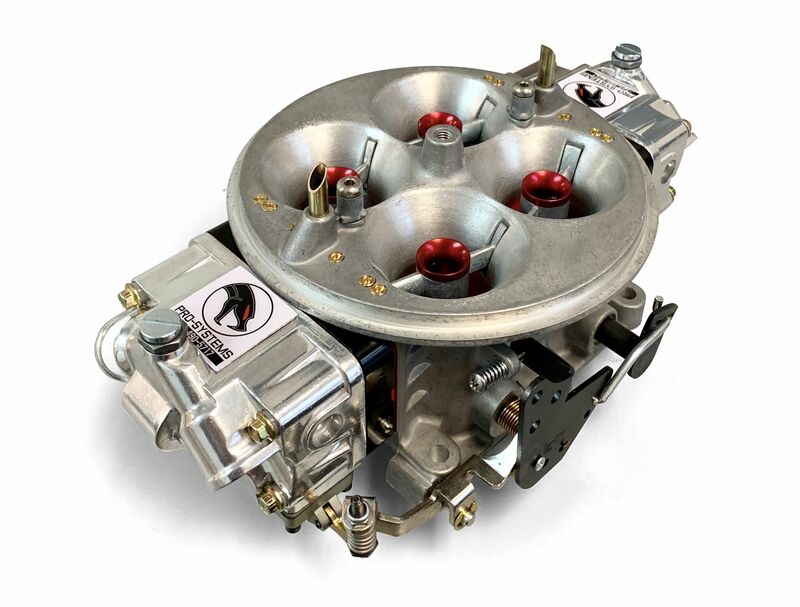 So choose your preferred carburetor and we can fill your racing needs. 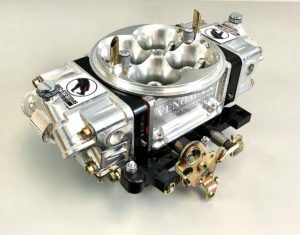 Complete Dominator Package (Carburetor, Jet pack and vacuum operated regulator) priced as low as $1190.00. 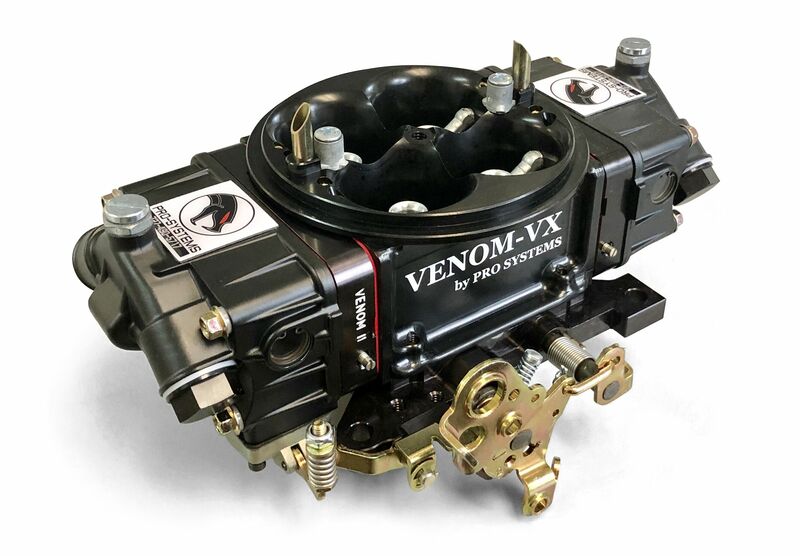 Complete VENOM Package (Carburetor, Jet pack and vacuum operated regulator) priced as low as $890.00. Complete 4150 Series Package (Carburetor, Jet pack and vacuum operated regulator) priced as low as $860.00. Also available for Street, Drag Racing, Circle Track, Road Racing and Marine Racing applications. 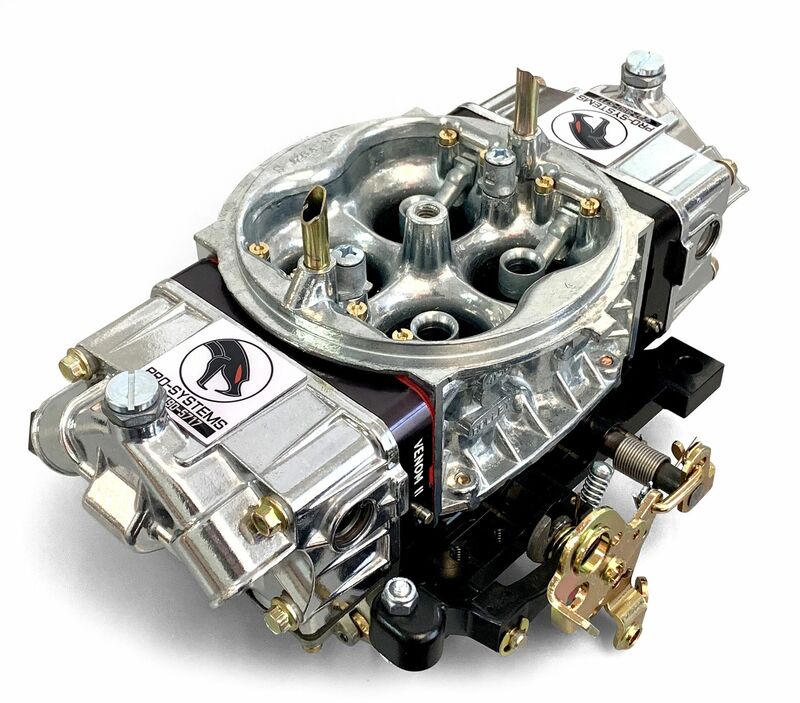 Simply, call or fill out an Online Quote form for a carburetor built just for you.